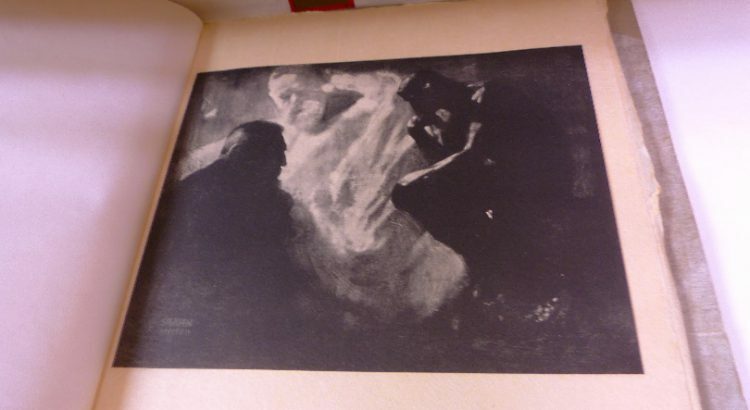 In 1903, American photographer Alfred Stieglitz began Camera Work, a periodical dedicated to the art of photography. 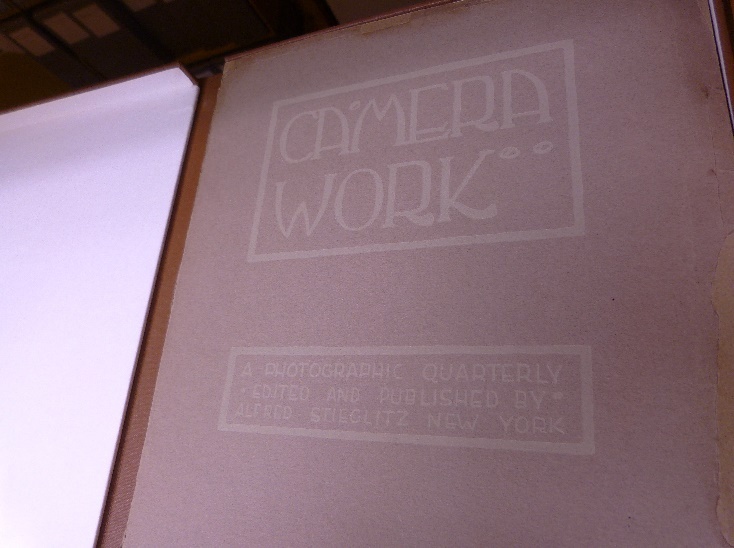 50 issues of camera work were published between 1903 and 1917, featuring the work of photographers such as Eduard Steichen, Paul Strand, Gertrude Käsebier and Stieglitz himself. Stieglitz was born in New Jersey in 1864 and spent most of his life as a photographer championing the medium as an important art form. He was one of the founding members of the Photo-Secession, a movement which cherished the artistic skill behind the photographic process. 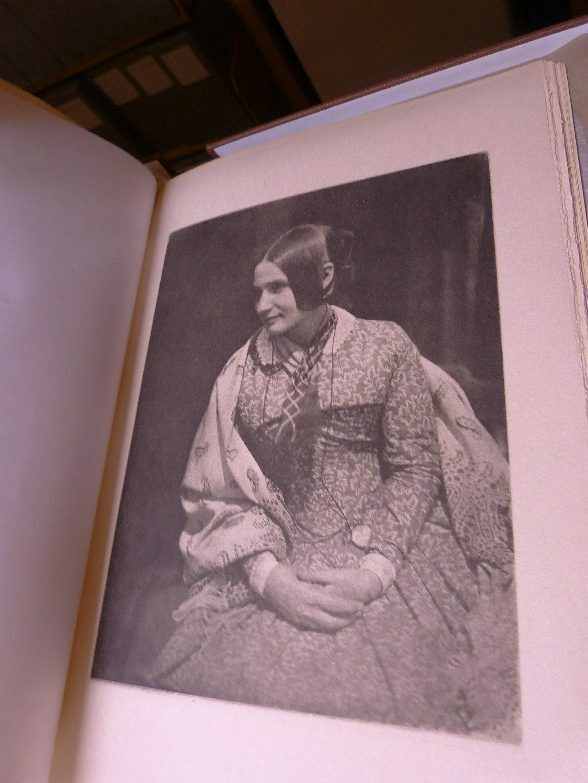 Here in the library we have three instalments of Camera Work, depicting the work of photographers such as Octavius Hill. Each journal is beautifully printed on handmade paper of extremely high quality. The appearance of the photogravure prints with their soft texture and extensive range of tones, falls somewhere between photograph and delicate drawing. The content of Camera Work ranged from photographic portraits, to landscape and architectural images, to the work of modernist artists such as Pablo Picasso and Auguste Rodin. 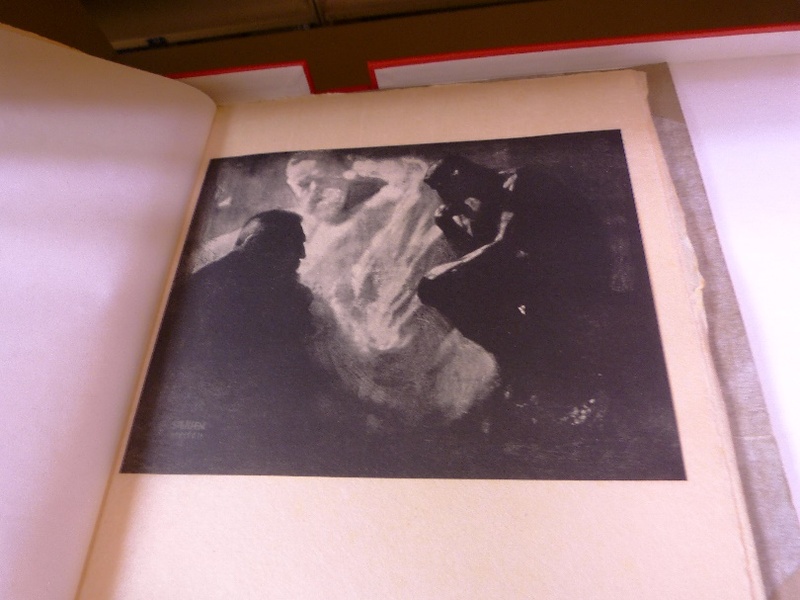 All the prints share a painterly quality which is characteristic of the photogravure process. 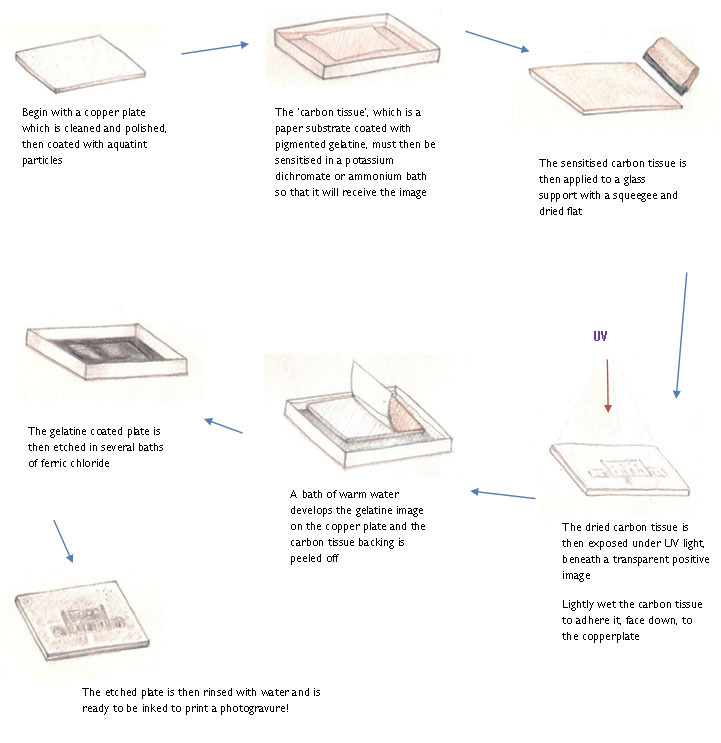 Photogravure prints are extremely stable as the image is made using printing inks instead of silver particles. Photographic processes which use silver particles to form the image are vulnerable to light, pollution, humidity and temperature. 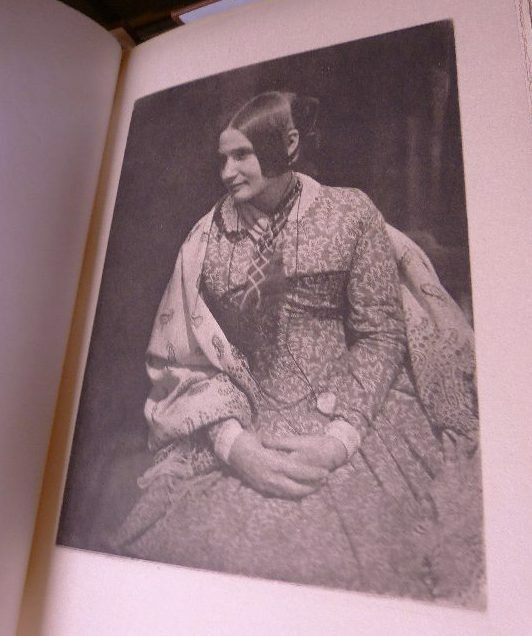 The photogravures displayed in the pictures still show rich tonal ranges and fine detail, despite their age. Kennel, S. (2010), In the Darkroom: An Illustrated Guide to Photographic Processes, USA: Thames & Hudson Inc.